In the 1960s, television invaded living rooms across American and forever since has become a member of the family. 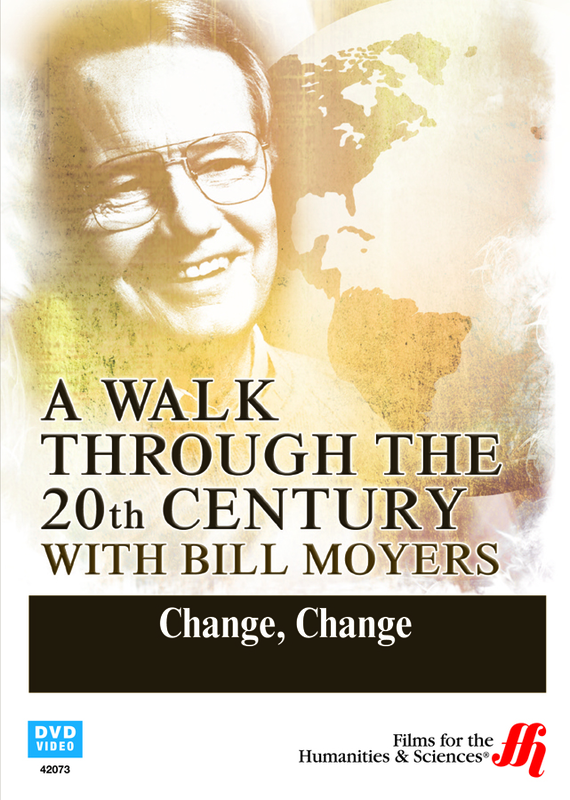 This enhanced DVD, from world famous journalist Bill Moyers, explores the impact of television on modern life. Bill Moyers investigates how television has changed perceptions of reality. Starting from the 1960s, JFK was the first President to be seen continuously on television. The television coverage of his assassination created national hysteria. This was followed by the footage of Martin Luther King, Jr. and the protest march for civil rights showing the brutality of the police actions. Then came the coverage of his assassination as well. Then the Vietnam War coverage brought the war directly into homes with its horrific images. America celebrated the landing of the first man on the moon as the entire globe watched the event on television. Computers expanded the media choices and made it even easier to create new content. Robots took over the manufacturing processes replacing humans and putting many out of work. Consumption then became the key. New products and passions driven by advertiser messages changed the way that Americans felt about themselves. The counter-culture exploded with Woodstock and hippies in response to the establishment. The environment was the thing that suffered the most, as growth was rampant regardless of its inability to be sustainable. It all comes down to the challenges of nature versus the needs of humankind. Bill Moyers interview a woman about the major life changes she experienced since her marriage in the early 1900s. Nature does not care what humans think. It operates in such a way as to be able to balance life systems in spite of the attempts for humans to set up a controllable habitat. Bill Moyers concludes that the future of humankind is still uncertain.